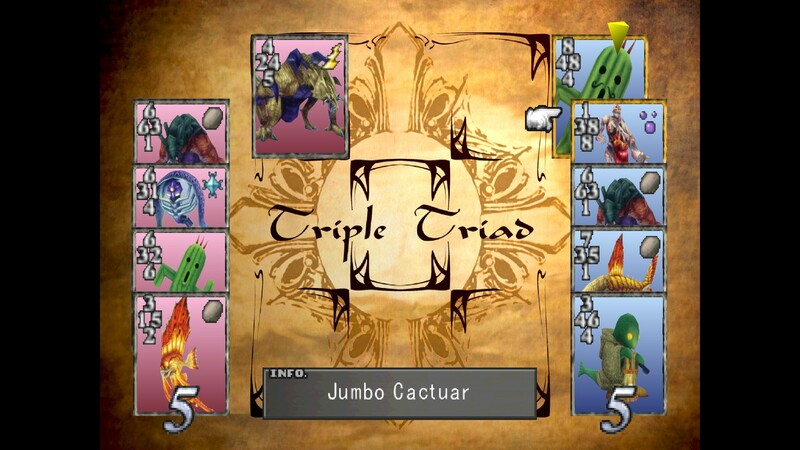 High Quality Remaster and Card Replacement for the Triple Triad card game. Tripod v1.1 Spanish FULL VERSION! Donate HERE to help keep my web-hosting alive! Amazing job Mcindus, all cards looks extremely sharp, definitely looking forward to the next update! Actually - I'm currently working on the game logo and Title Screen. Character Avatars, In-Game Text, Icons, Magazine Issues, GF avatars, and more! This has been a really fun day. I love that Awesome. There is one glitch so far! It seems like the backgrounds don't always load 100% of the time when in Triple Triad. I'll let Omzy know and we'll keep working on it! 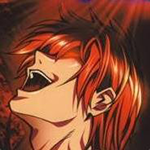 It is a png lib DLL you need for most mods and emulators. Also -- I'm currently finishing Tripod v1.1 and the text and icons are really coming along nicely! I will post a youtube video with some gameplay as well as some screenshots when the project is complete. That's totally awesome, you make my dreams come true. I so can't wait for this. Been waiting for good FF8 mods for ages and finally they come into fruition, woohooo. Lol. Keep up the good work. Gonna wait for version 1.1 before i try this out. TRIPOD V1.1 complete! Enjoy! Please let me know what you think and if there are any bugs! -I need to fix one transparency layer, but I have to find it first! Hi, nice mod, i loved it! See it? it's still the old background&numbers, hope you can help me. edit:i'm using FFVIII new release from steam, the version of the game is the 1.0.11. Do you have Tonberry v1.2 installed? Can you uninstall/reinstall the mod? Also - make sure you have the Steam client open and not just the FF8 exe. Just to be sure - restart your computer. for some reason, i think directx9 needs to be reset sometimes. (not sure though) Let me know if any of this works. Well it looks by me the same, but I believe that some files aren't the same in different languages (my game is German). I haven't looked into that closer so I'm not sure. However the first Seed project had a special version for German. i restarted my PC, and now it's working fine Thanks dude! I had the same problem with him. I restarted and it didn't work. Background in card game is not HD quality. Make sure you have the latest version of "hashmap" from the Tonberry page. It should work with v1.2 and later. Also - update your graphics drivers - this step has helped a lot of people with DirectX issues. If that doesn't work, try re-installing Tripod and then reboot when you're done with everything. Are you playing the English language version of the game? I use Tonberry 1.4 and hashmap 1.2. So, I tried reinstalling tri pod and restarting many times but it didn't work. I 'll update my gpu driver and feedback later. Finally got the mods to work but having the same problem as "Kisirong2501". Same old background and old numbers for me, the rest works...A restart didnt resolve this problem for me either. Hope a solution will be found soon. Check the image files that aren't showing up in Photoshop and if the layers show Background (locked) then right click it and click 'Layer from background" so that it just says Layer 0. Save the file and try again. If they are already 'Layer 0' then it may be a Tonberry issue which I will look into. I'm not even sure if i understand what you're telling me here to do (i dont even have photoshop) and something very weird just happened. Without having to restart the game or anything the new background and numbers popped up but only once. After i won i went for another card game match, and back to old background and old numbers. I was so excited to see it work just once, but what could the problem be? What could cause it to work one time and not the other? I didnt even exit the game or anything, really weird. PS: If it helps, i'm using Windows 32bit and couldnt even get any mods to work prior to Tonberry 1.4. Edit: It worked again, that's weird, seems to be working now, let's see how long it will stay that way. I'm pretty sure that after we had that last formatting issue, I went through every image file and ensured that they were in the proper format - so all current releases shouldn't have any weird background locked mode issues anymore. I even get the 1/3 screen issue every now and then... and when it happens, it stays that way until you restart the game... and sometimes it happens on the new title screen as well. Pretty sure it's a hashing problem, but I'm here to assist in any way! Ok, thanks for the clarification! It is definitely a Tonberry problem. I will try to work on it for the next release. EDIT: Also I found that when choosing cards during a game or simple moving the cursor up and down at certain points, the background card map will flicker/change shape slightly in certain areas. some parts of the card map will get thinner while others get thicker.